This well-loved design will never go out of fashion. 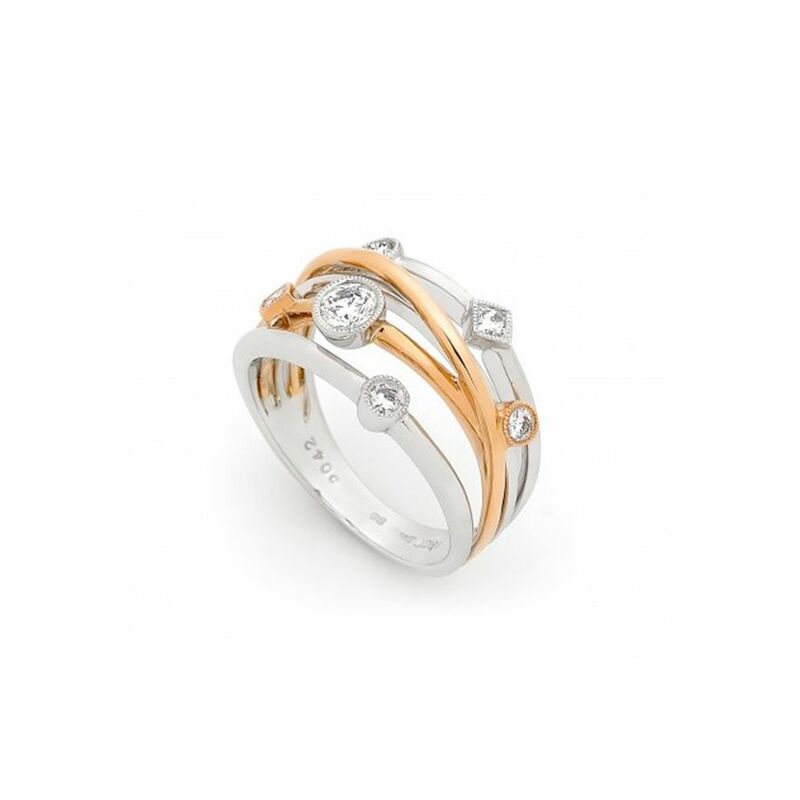 The contemporary crossover design shows off the complementing Gold colours and the different shapes and settings for the Diamonds adds a quirky twist. A really fun way to wear your Diamonds.